Anima is the software research tools and C++ libraries developed at Empenn for medical image analysis. It is under continuous development and includes tools for image registration, statistical analysis (group comparison, patient to group comparison), diffusion imaging (model estimation, tractography, etc. ), quantitative MRI processing (quantitative relaxation times estimation, MR simulation), image denoising and filtering, and segmentation tools (Graph cut segmentation and multiple sclerosis lesion segmentation). Anima is open-source under the AGPL license and available from Github. In addition, we have recently released a set of python scripts using tools from this library to perform pipelines of actions for e.g. 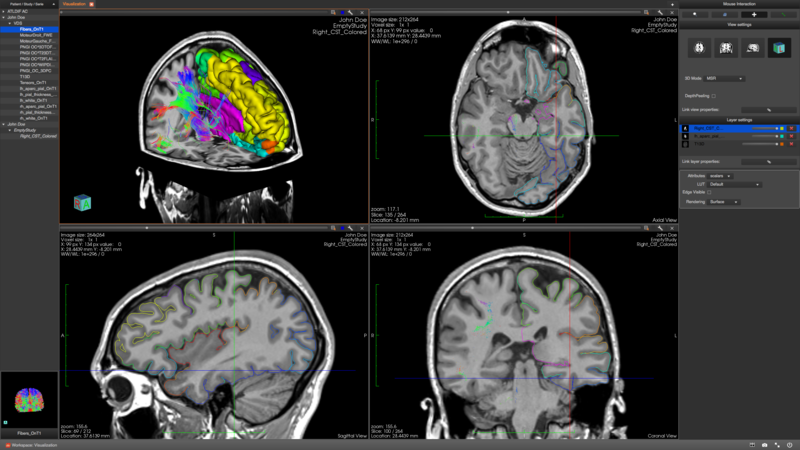 atlas construction, diffusion imaging preprocessing, brain extraction, etc. Anima-scripts is also open-source under the AGPL license and available from Github. Empenn is taking part in the Inria development action around medInria. We are developing medInria, a software platform aimed at providing research clinicians with medical image analysis tools coming from research. This software will progressively include developments coming from the 4 major teams in medical image analysis at Inria: Asclepios, Athena, Parietal and VisAGeS, making it a future major diffusion platform for our research developments. More details on the medInria website. 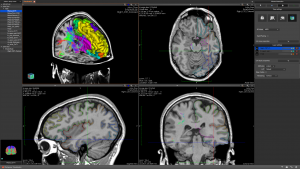 Based on MATLAB and the SPM8 toolbox, autoMRI provides complete pipelines to pre-process and analyze various types of images (anatomical, functional, perfusion, metabolic, relaxometry, vascular). A new version of the ASL post-processing part was developed in Python and Nipype, therefore not requiring the disponibility of Matlab licences.